The University of Maine at Presque’s Ceramics II class invites County residents to attend the area’s first Empty Bowls fundraiser, which gives participants the opportunity to purchase unique homemade bowls and enjoy cups of warm soup, all to benefit a local soup kitchen. The Empty Bowls fundraiser will be held at the William V. Haskell Community Center (Presque Isle Recreation Center) on Friday, Dec. 6 from 6-8 p.m. This event is being held in conjunction with the Presque Isle First Friday Art Walk. Empty Bowls is a new fundraiser to Northern Maine. The money raised from the sale of the bowls will be donated to the local Martha and Mary’s Soup Kitchen, so participants are helping to feed a multitude of people with every bowl purchased. As part of Empty Bowls, hand-crafted bowls will be made and donated by artists in the County such as Heather Bessey, Russell Mount, Hyrum Benson and others. Also crafting their own unique and creative bowls to donate are Presque Isle High School students under the direction of Ellyn Whitten Smith, as well as current and past students from Hyrum Benson’s Ceramics classes. All bowls will cost $10. With each purchased bowl, local businesses will provide participants with a cup of soup. Businesses donating soup include Aramark, Café Sorpreso, Governor’s, The Whole Potato, Gretchen Violette, Star City Coffee, and others. Both the hand-crafted bowls and steamy pots of delicious soup will be set up in the Rec Center on Dec. 6, so community members are encouraged to stop by during the First Friday Art Walk, pick out a beautiful bowl, and warm up with a cup of soup for a good cause. In addition, the event’s featured speaker will be Heidi Rackliffe, a case manager at ACAP, who will talk briefly about poverty issues in the region. Empty Bowls is an international grassroots effort to fight hunger and was originally created by The Imagine Render Group, according to the organization’s website. The basic premise is simple: Potters and other craftspeople, educators and others work with the community to create handcrafted bowls. Guests are invited to a simple meal of soup. In exchange for a cash donation, guests are asked to keep a bowl as a reminder of all the empty bowls in the world. The money raised is donated to an organization working to end hunger and food insecurity. All proceeds from this event will benefit Martha and Mary’s Soup Kitchen, located on 21 Parsons Rd. in Presque Isle. 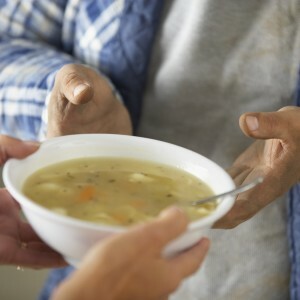 The soup kitchen is usually open Mondays, Wednesdays and Fridays from 1-5 p.m. While open, they serve about 80 meals per day. 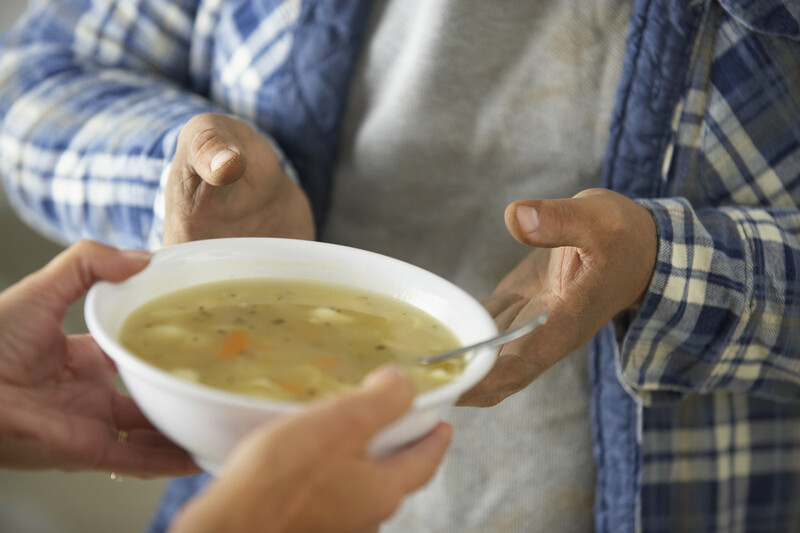 “We are always excited to receive donations to help support our mission of feeding those in need,” Cindy Patton, of Martha and Mary’s Soup Kitchen, said. For more information about this event, contact Benson at 207.768.9441, hyrum.benson@maine.edu or view the Facebook page at www.facebook.com/EMPTYBOWLSAROOSTOOKCOUNTY.